Eating in Bangkok is just such a pleasure. 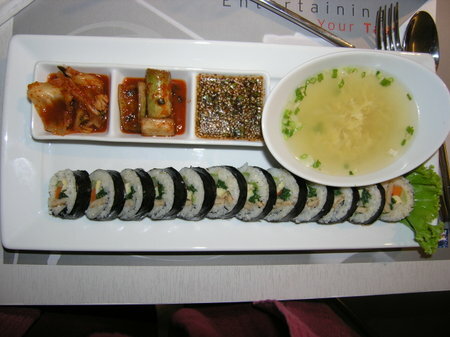 The food is excellent, there is a huge variety of stuff to try, and it's affordable. This was my first ever meal in Bangkok on the day I arrived. After 25 hours of travelling, I got to the guesthouse, dropped off my luggage, and then went out to get some lunch (it was 4 pm so a late lunch...). 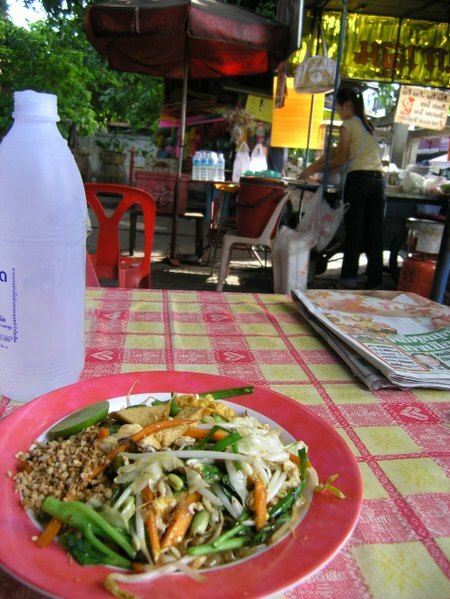 This delicious pad thai cost 35 baht and that included the bottle of water. Street food is the best. 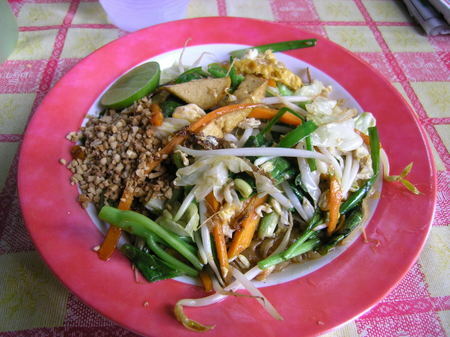 Close up on the pad thai. After the street food my second favorite thing was the mall food. This is a lunch I had at the MBK fifth avenue food thing. It's supposed to be Korean. 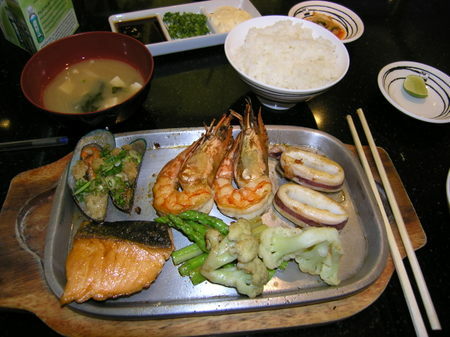 This was a really inexpensive meal, probably around 3 or 4 dollars and it was good. MBK shopping center has two food areas, this is the more upscale one with fltered lighting and a lovely seating area with a lot of room between the tables so you don't feel claustrophobic. 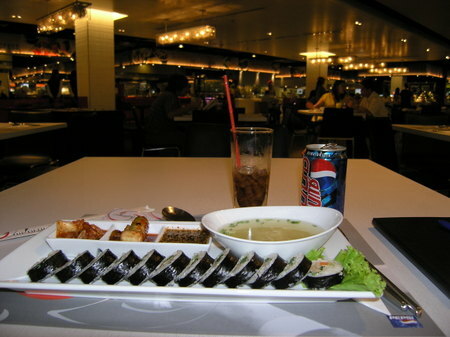 I also had lunch at the Fuji restaurant in the Paragon shopping mall. The shopping in Bangkok is incredible. Much better than Paris and better than NYC too. There is a huge variety of stuff from the very, very cheap to the incredibly expensive. The shopping malls are all air conditioned and have all kinds of convenience things like restaurants, movie theaters, clean toilets. I was very impressed. 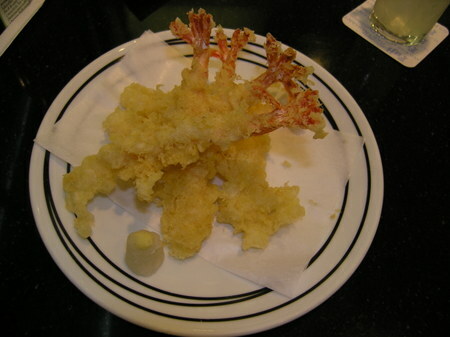 And here is some shrimp tempura that I had as well. It's been a long time since I've been able to eat Japanese. The prices in Paris are ridiculously high so this was really fun.